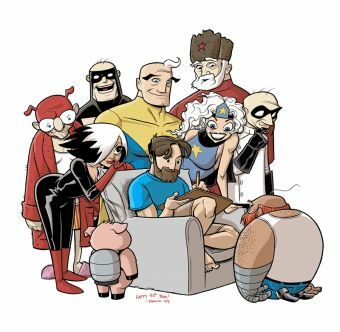 Get Your SuperFogeys Posters and Sketches From Marc at NYCC! Feb 16, 2017 New Art Giveaways are On Their Way! 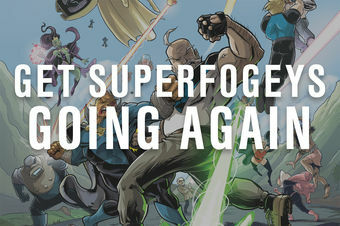 Jul 5, 2012 BREAKING: SuperFogeys Hiatus! The Redesigned Soviet Sam and Spy Gal! Nov 2, 12 SuperFogeys Kickstarter! New Art Giveaways are On Their Way!